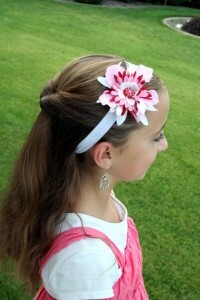 Here is another hairdo that can help satisfy the many requests for Back-to-School Hairstyles! It is perfectly simple, and literally only takes a minute or two to do (even for dads)! 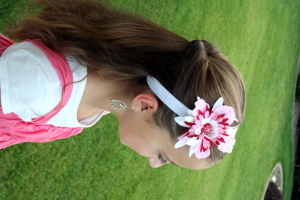 In fact, many of our styles will make for great Back-to-School looks! Items Required: Rat-tail comb, spray bottle, topsy-tail tool (if you do not want to use your fingers), 1 ponytail holder/band, accessory (if desired).